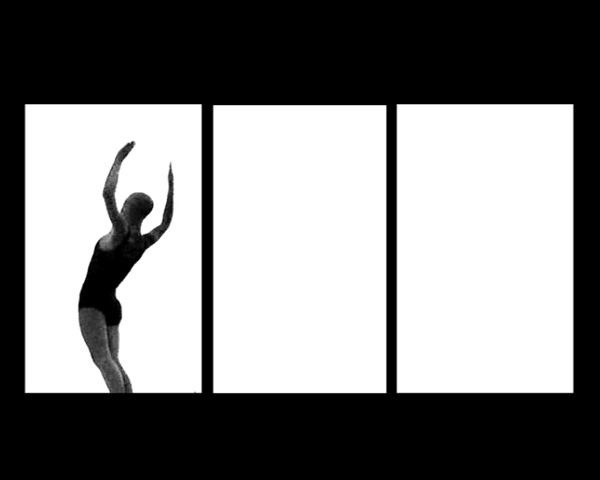 The short sequence of the diver, extracted from Leni Riefenstahl’s “Olympia” (Fest der Shönheit - 1938), is deconstructed into a single ecstatic moment. The periodic movement, maybe a visual expression of gestural, dynamical forces, stops the gravity. Life is in the balance, protected by the atmosphere. Sound and visual languages are integrated by means of three colors and the moving shape, leading to a descending counterpoint of figures and clusters.